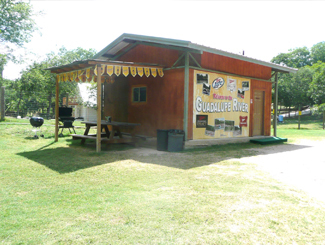 Billy Goat's Gruff Guadalupe River Rental units, Camping, Tube rental, BBQ and the only Float up bar on the Guadalupe River. $225 per night, two night minimum, three night minimum on holiday weekends. 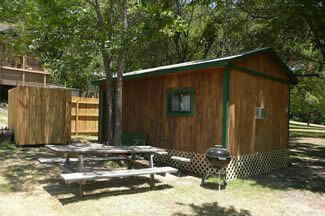 Up to 2 additional guest can be added to the rental at $25 per person per night. Guest must provide own mattress, linens, and pillows. 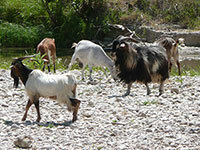 Call Billy Goat's Gruff... 830-643-4146 for reservations. Includes most amenities plus park right at your cabin, hand carved cedar bunk beds, loft with queen bed and two additional queen beds. $425 per night, two night minimum, three night minimum on holiday weekends. 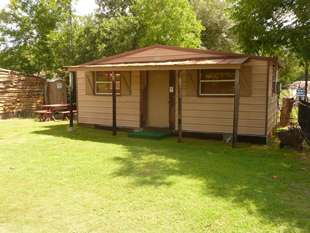 Sleeps 10-12 in air conditioned comfort. 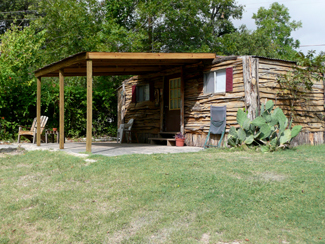 Come enjoy the beautiful views of the Guadalupe River & the Canyon in a primitive setting with clean Restrooms & FREE Hot Showers.